President Lyndon Johnson and his wife, Lady Bird, arrived at Ōhakea air base at the start of a whirlwind 24-hour visit to New Zealand. His visit, the first by a United States president, was primarily to shore up support for the war in Vietnam. Johnson’s visit appeared to confirm public support for New Zealand’s involvement in the war. 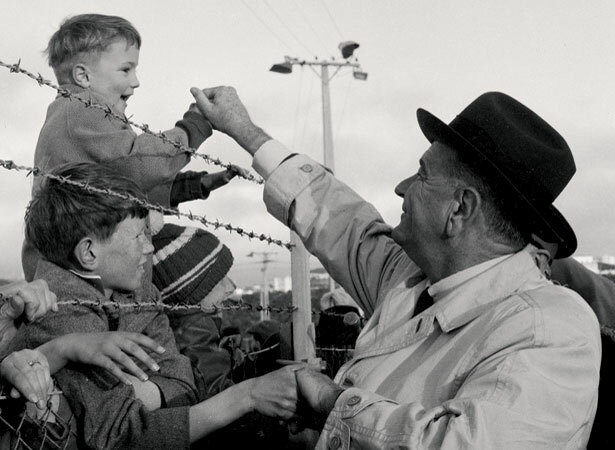 Up to 200,000 cheering Kiwis crammed the streets of Wellington to get a glimpse of LBJ. Johnson was keen to shake hands with as many onlookers as possible, much to the consternation of his security detail. When LBJ arrived at Parliament for a state luncheon, cheering supporters outnumbered anti-Vietnam war protesters. Newspapers declared the whistle-stop tour an overwhelming success: ‘the anti-Vietnam campaigners have less strength in the country than they imagined’. This conclusion was premature. Although National won the November 1966 election, in which Vietnam policy was a major point of difference with Labour, by the end of the decade thousands were marching against participation in the war. 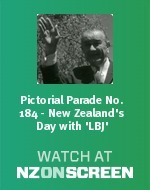 We have 1 biography, 2 articles, related to New Zealand’s day with LBJ.